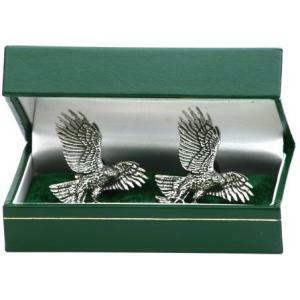 These pewter cufflinks depicting an eagle are made in the Uk from lead free pewter. 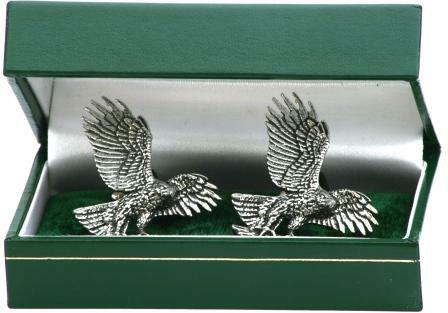 They come in a hard cufflink box as shown in the photo making them an ideal mens gift for anyone who loves birds of prey or maybe buy them to wear yourself on those special occasions. The cufflinks have a nickel plated brass traditional T bar fixing at the back. We have many other falconry gifts , sculptures and collectables please have a look around our website.